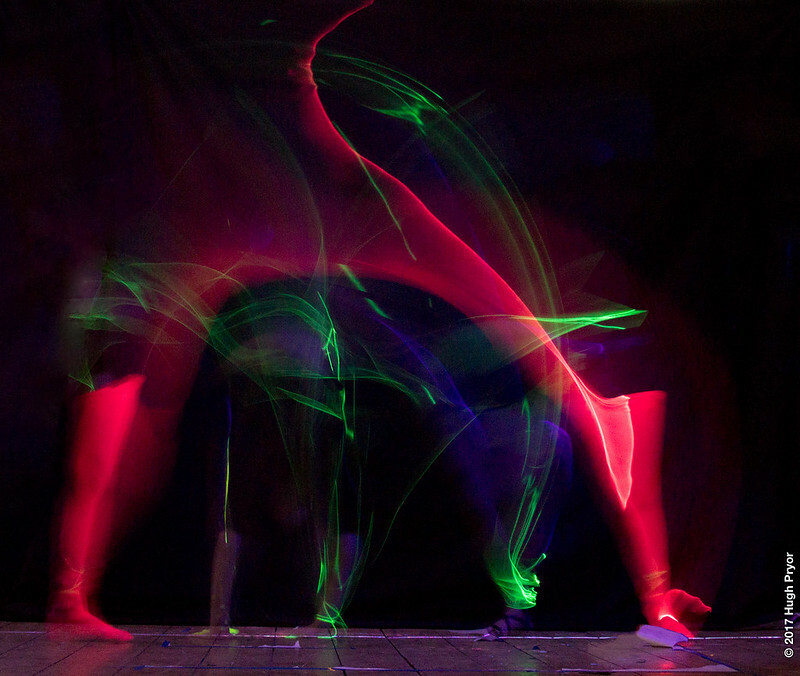 The first workshop explored space and movement using a sheet of laser light as a canvas and fluorescent materials as a brush. Different effects were explored including fluorescent string and fabric, and electroluminescent wire. The second workshop used a simple slit scan made from blackout material, a motorised tripod head and a switch to trigger the shutter. Despite adding finishing touches to the setup only minutes before the start of the workshop, it’s measure of success is that it kept 14 teenaged students fully engaged and entertained for an hour.